Mr Zeid, the United Nations High Commissioner for Human Rights, said the current operation in Rakhine was "clearly disproportionate". 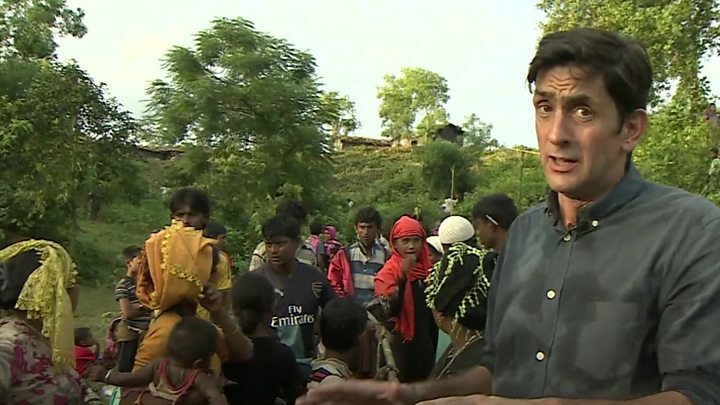 He noted that the situation could not be fully assessed because Myanmar had refused access to human rights investigators, but said the UN had received "multiple reports and satellite imagery of security forces and local militia burning Rohingya villages, and consistent accounts of extrajudicial killings, including shooting fleeing civilians". "I call on the government to end its current cruel military operation, with accountability for all violations that have occurred and to reverse the pattern of severe and widespread discrimination against the Rohingya population," he said. The authorities have, however, started to register the new arrivals. Previously only those in two official camps were being documented, but government teams are now collecting fingerprints and details from all newcomers, including those in makeshift shelters. Analysts say that, until now, the government has refused to register those outside camps for fear of legitimising them. But the current move may help the government as it engages in a diplomatic battle about the Rohingyas' future, the BBC's Sanjoy Majumder reports. 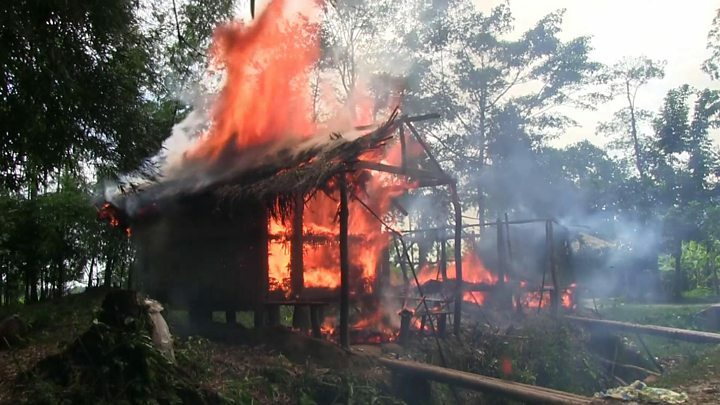 On Sunday, the Rohingya militant group behind the 25 August attacks declared a one-month unilateral ceasefire to allow aid agencies in, but the Myanmar government rejected it, saying it would not negotiate with "terrorists". Aung San Suu Kyi, Myanmar's de facto leader, is facing mounting criticism for failing to protect the Rohingya, and on Monday exiled Tibetan Buddhist leader the Dalai Lama added his voice, urging her "to reach out to all sections of society to try to restore friendly relations". NHS chiefs say care is being compromised as staff struggle to cope on unsafe and over-crowded wards. What will President Trump's medical reveal? Reality Check: Where does the 5p plastic bag charge go?